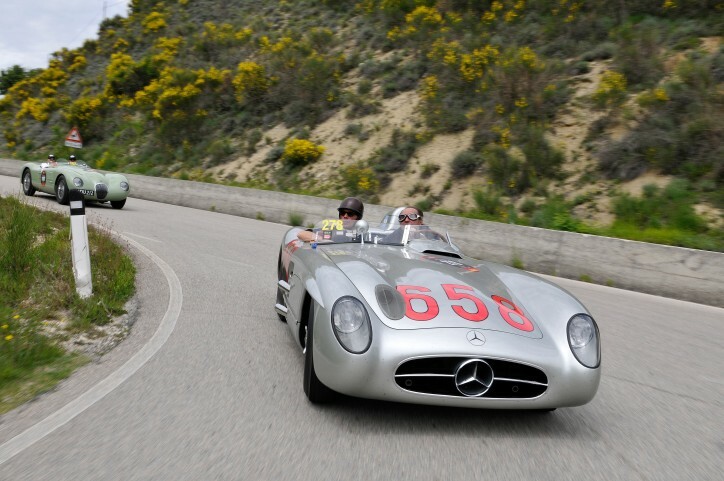 Mercedes-Benz announced, through the Daimler Global Media Site that it will be sponsoring the Mille Miglia this year. The event will also highlight the best classic cars of the brand. The Mille Miglia 2016 will be held on May 19 to 22. The event will run from Brescia and Rome. The history of the Mille Miglia event and Mercedes-Benz come a long way. It should be noted that the endurance race produced historic moments in the colorful past of the three-pointed star brand such as when Rudolf Caracciola and Wilhelm Sebastian won the event in 1931 using a Mercedes-Benz SSKL. Later, Stirling Moss and Denis Jenkinson drove the Mercedes-Benz 300 SLR in 1955 to achieve the same feat. This year, the same cars will be appearing in the event again. To make the event more exciting, Mercedes-Benz will once again pull out the best cars in its classic collection with the oldest units going back to the pre-World War II era. We are talking about the Mercedes-Benz SS and the SSK models here, which were produced in the 1920s and 1930s. Some 300 SL models released in the 1950s will be participating as well. For the second time since 1956, the Mercedes-Benz 190 SL will make its appearance in the race. The source said it was only found out last year that the car was in the “1,000 Miles” endurance race in 1956. It was driven by Michel Bianco and Jean Loup Pellecuer. The 190 SL only finished 121st in that event. However, its performance was pretty impressive as it logged a driving time of 16 hours, 6 minutes and 15 seconds.